A comment from my last post got me thinking and I wanted to respond to her with this, but it was much too long to leave in the comments section. So, this post is for her. My husband is half Polish and half Serbian. The matriarch of the Serbian half of his family was Grandma Mary. She was the epitome of every stereotype one has of what grandmas should be. She was sweet and kind, always filling you to overflowing with food and never ran short on love. I was fortunate enough to have a few short years with her before she passed away in 1998. 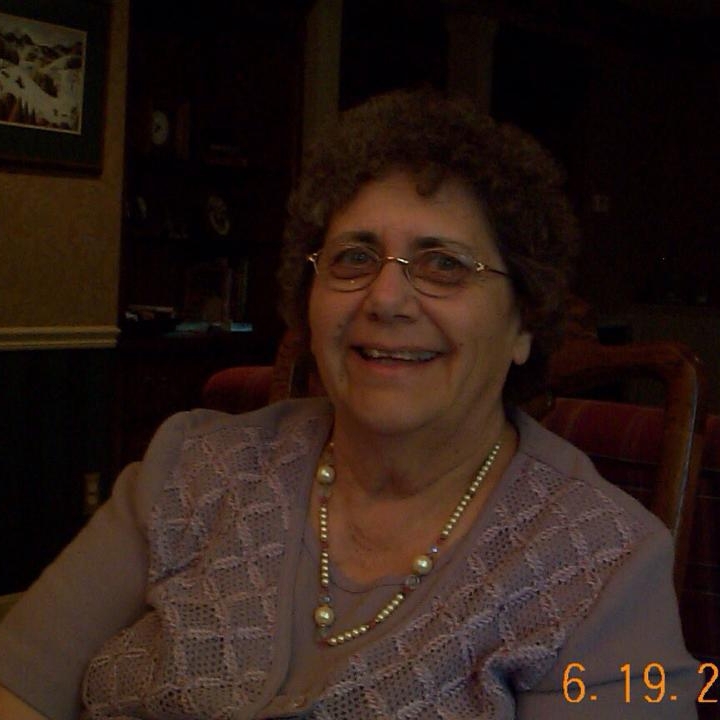 She was a member of St. George’s Serbian Orthodox Church in Lorain. At her funeral, her priest, a young, handsome man from the former Yugoslavia, gave a eulogy that has stuck with me. In my sadness over her passing, his words had a profound effect on me and they apply to so much, in so many instances. He was talking about how we shouldn’t be sad that she died. She had gone on to do the thing God created her, created all of us, to do. He placed his hand on the highly polished casket and said, “Do not mourn this body. This is vanity.” He went on to explain that our bodies are only anchors to this earth and aren’t meant to last. Think about anchors for a minute. What are they? They are nothing more than huge hunks of heavy metal that keep boats and ships from sailing off into the horizon. No one pays much attention to them or what they look like. Some anchors keep fishing boats in place so fishermen can catch dinner for their families, or trawlers can catch seafood for many families. Some anchors hold luxurious yachts in place, vessels so beautiful it staggers the imagination. Still others hold humble boats where they need to be so someone can travel from one place to the next. Regardless, anchors have one simple job and that’s all they’re good for, right? Or they could be more. The way I see it, they ARE more. Anchors, and the job they do, can be an allegory for ourselves and the lives we lead. Our bodies are like anchors, very much like what Grandma Mary’s priest said. They keep us here, focused in our lives, on what we are supposed to do. They are attached to the bigger picture of what our lives were meant to be. Some of us were meant to be here to tend to our families the best way we can. Some of us were meant to take care of others. Some people are here to lead beautiful lives, while still others are here to spread humility. None of those are possible without their heavy anchor. If we can look at those yachts, trawlers and boats and see the goodness and beauty there without a second thought to what their anchors look like, why do we spend so much time on the vanity that surrounds what our bodies look like? The real beauty of what we are, what makes us the beautiful creatures God intended, is within us. It’s what we take with us when we’re called home. We leave our anchors behind and sail off into the horizon. Remember that the next time you look in the mirror and criticize yourself. You are more than your anchor. Your body is linked to the very best you have to offer, and that is so much more than the outside. Plus Size Mama is now available for pre-order here! Publication is May 10th! Catch up on all the latest news on Facebook here! I’ve written before about the phenomenon that baffled me when people cry over celebrities dying. I thought they were off their rockers, until it happened to me in August 2013 with the death of Robin Williams. Well, 2016 proved that it isn’t just the funny guy that owned my ice-cold heart. Today Alan Rickman passed away at 69 years old. And I wept like a baby. I remember him from movies when I was younger like Die Hard and Robin Hood: Prince of Thieves and several others. He was an actor who was chameleon-like in his roles, changing his appearance and accent to the point of almost being unrecognizable. I remember being in awe of that sort of talent and bravery. In a business where your face and voice are your product, obscuring those in any way could be dangerous to your career, but Rickman proved otherwise. I’ve got to be honest here, though. As much as I enjoyed his roles and admired his craft, he was never an actor whose work I sought out. It wasn’t like I ever said, “Ooooh, Alan Rickman has a new movie out that I simply MUST see.” That is, of course, until a little wizard grabbed hold of my soul in 1999. I gobbled up the books as quickly as I possibly could, and, right along with most others, hated the character of Snape for being so mean to our heroes. That is until the end. When I realized that Snape was my favorite character of all. And then the movies came out and Rickman was cast. My love for that boy wizard grew with each movie, something foreign to this bookworm who usually hates Hollywood’s adaptations of my beloved books. Rickman did such a wonderful job of portraying the Snape that lived in my head that I can’t read those books without envisioning him. No other character from the movies has replaced the others in my mind. Just him. In fact, I don’t recall any actor, EVER, replacing the character that lived in my head. That is saying something, friends. It’s that last line coupled with the image of Lily Potter in Snape’s arms that sealed Alan Rickman’s place in my heart forever. Rickman’s end is bittersweet, but he leaves behind a legacy, an immense amount of art that speaks volumes for his talent and craft. But, no matter what role he played, he will remain in my heart, the unsung hero of a tale about a boy wizard. He will be the unlikely, however faithful, friend who kept a promise to his one true love until his dying breath. Always. I was in my early twenties and single. Mother’s Day had rolled around that year and I found myself broke, with no gift for my mom. Growing up, my family was poor so store-bought gifts were not something we really did. I remembered Mother’s Days from when I was a kid, handing over crafts I’d made in school to give her as gifts. One particularly nice one was a leather key chain that I punched shapes into and then painted. Others were just malformed pinch-pots painted crazy colors, hideous things. I was not yet a mother, so the beauty of those pathetic little dishes was lost on me. All I knew was there was no time to make her anything of any significance that would be worthy of Mother’s Day. I remember it was a bright, sunny day, the perfect weather. I woke up early and decided that, even though I had my money earmarked for bills, I was going to use it to buy my mother flowers for her special day. Flowers weren’t something my mother ever got. I drove down to the florist and waited in line behind all the other procrastinators. As I stood I thought about what I’d buy her. Roses? No. I surely didn’t have enough money for those. Carnations? No. I wasn’t sure she’d like them. She lived in an apartment where she got little sun exposure so potted plants were out. That’s when a great idea occurred to me. I’d buy her fake flowers. She wouldn’t have to commit to keeping them alive and, frugal as I was, she would be able to enjoy this gift of flowers forever. I puffed up my chest and turned to the fake flower section. I spied the most beautiful silk, pink peonies I’d ever seen. They came in a huge bundle. I kept my eyes on those peonies, worried that some other person would steal my idea and get them before me. When my turn at the counter came, I told the clerk which flowers I wanted. She looked at me with this sad look in her eyes. I thought it must be horrible working customer service in a flower shop on Mother’s Day morning. It was very packed, customers snatching up everything that wasn’t nailed down. Her misery would end soon, I thought. She brought me the peonies and I was dismayed to see that they came in a truly plain, bordering on ugly, green pot. To make matters worse, the pot had two big spikes on the bottom. I thought, How are these things ever going to stand up? No matter. Mom and I would fix it. We’d just pop those spikes off with a pair of pliers so they’d stand nicely on her dining table. I handed over my cash and left the store. I drove to her place with my chest puffed up, proud that I got the most beautiful flowers for my mom and she could keep them forever. They lay on my passenger seat, unable to stand because of those darn spikes. So filled with pride was I that it never occurred to me to spend any time thinking about the significance of those spikes. Mom buzzed me in to her complex and I rode the elevator to her floor. I spent my time waiting really observing those flowers. They truly didn’t look fake. They were very pretty and I was convinced that she would love them. As I walked down the hall to her door a sneaking feeling began to creep into my spine. My head started adding the plain green pot and the two peculiar spikes together. As I knocked on her door, I swiftly hid the flowers behind my back. Oh, no! I thought, and burst into tears. My mom answered the door to a runny-nosed, sobbing mess of a daughter. Unable to speak, I slowly pulled the flowers from behind my back and handed them to her. She looked at them with a confused expression. “I do now!” I wailed. She pulled me close and hugged me. And laughed a great belly laugh. “It’s okay,” she said. “I can at least say that I got to enjoy my funeral flowers while I was still alive.” She laughed again. I was still crying, but I giggled, too. I went inside and explained the whole story to my mom, who did not successfully stifle one bit of laughter the whole way through. I apologized a million times, so embarrassed that I would do such a stupid thing. Later, as I lay in bed and replayed my awful choices in my head, a thought occurred to me. My mother had always told us that we should never be attached to the material things in life because you can’t take your stuff along for the ride. I had somehow managed to prove her wrong. I gave her the gift that Mother’s Day that she really could take with her. So, top that, daughters everywhere. Just being born, our beginning, is a struggle that exhausts us and our mothers. Our death, our ending, is heartbreaking to many. The focus of our lives, what makes the ending so difficult, lays somewhere in the middle. It doesn’t just happen in one moment, but in an entire lifetime of moments that leave indelible marks on this world. The middle shapes the person we are as we grow. It shapes the lives of our children, which, in turn, shapes the lives of our grandchildren for generations to come. Our middles give small portions of ourselves to our fellow man, that they might find comfort in our words and actions. It’s the middle that creates memories. It is the culmination of all the moments that we’ve loved, lost and risen to the occasion. It encompasses the happy, sad and all that was in between. It includes all the moments that we stood on our own two feet as well as those that knocked us to our knees, and shows our strength and perseverance. The middle is the meat of our lives and it stands as a testament of not just what we got out of life, but of what we gave back to it. As much as it hurts, life’s end is also a beginning. It picks up where the middle left off. Our death is the beginning of our legacy. We spend the whole of our middles creating what we hope those who outlive us will take with them. May your family and friends take a large portion of the laughter that was left to them. May they cling to the love with which they were so carefully endowed. May your memory be carried in their hearts forever. More importantly, may you leave this world knowing that so many loved you, and their lives were made brighter by your presence in it. Way back in ’09 I left a Pampered Chef party at my mother-in-law’s house to go pick up pictures I had ordered. When I sat down next to the photographer she began to weep, having a difficult time concentrating on my order. When I asked if she was okay she shook her head. “Didn’t you hear?” she asked, her eyes bulging out of her head. I admit, I thought she was a little nutty. Unless she knew Michael Jackson personally, I thought her grief was over the top. God laughed at me and put me in my place yesterday. When I opened my Yahoo feed I was slapped in the face with the news of Robin Williams’ death. My first reaction was to quickly search so I could find out it was a hoax. This simply cannot be, I thought. In that moment a wave of grief swept over me. No, I didn’t know the man personally, though that would have been cool as hell. No, I didn’t weep, but I did cry. I shed a tear for the comedic and dramatic genius that had fostered in me a sense of humor and a love for poignant movie moments since 1979. As I read the internet stories I grew more and more eager to know details of this man’s death. Still too soon to report much more than the bare fact that he died by possible suicide, little was found to give answers. He was always open and honest about his struggles with addiction and depression, never hiding behind cliches or publicists. As fans, we had all the answers. We just chose to think the funny man would always have a well of strength to keep him soaring through the stratosphere of fame. His well ran dry yesterday. I was at a loss. How should I remember this man who bounced into my life at the tender age of 5, dressed in a red jumpsuit, flying in an egg, and made me laugh, even though I was too young to get most of the jokes? For decades, literally, he had released movie after movie right around my birthday. Each year I’d scoop up someone to go see My Birthday Movie, as I thought of it, as if the man made them just for me. It became my thing. My tradition. What to do? I gathered my sons together. I made them turn off the video games. I introduced them to Mork. As we sat on the couch, giggling at the nearly 40-year-old humor, I had an epiphany. Robin Williams left us not just the legacy of an artist. He left us an entire cache of grief soothing salve in the form of Mork, Mrs. Doubtfire, and Adrian Cronauer. He left us catharsis in movies like Awakenings, Patch Adams, and Good Will Hunting. We could still commune with the spirit of this short, furry and funny man. As I searched through the boxes of DVD’s pulling out every Robin Williams movie I own, I heard my computer dinging with replies to my posts about how sad this news was. I quit my search and sat down to Facebook and saw post after post of folks who felt the same way I did. So my wish, if I get one, is that Robin Williams finally finds the peace he so desperately needed while he was here. My wish is that, after his crash landing, he was lifted up and surrounded by our outpourings of love for a man the majority of us didn’t know personally, but felt like we did.